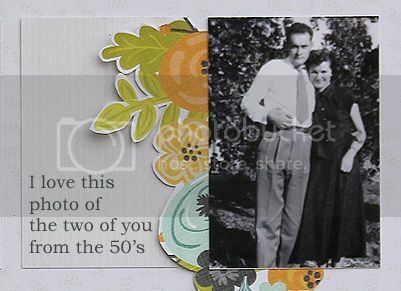 Here's another layout for Scrapbook Daisies, using the Cold Avocado Soup collection from Jillibean Soup. Gracie was so little here!! 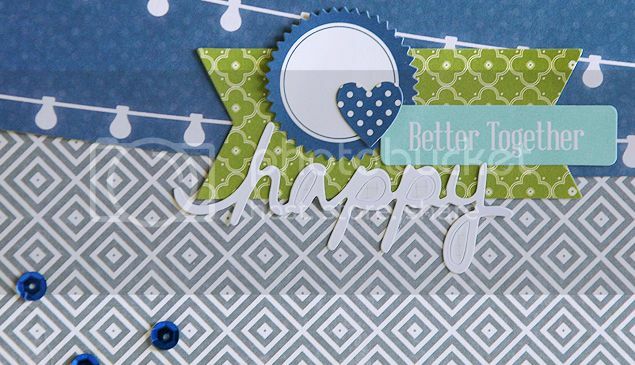 I layered some of the cute label stickers and then added "happy" from their Christmas Cheer collection. Love the Jillibean on your layout Mary Ann!! Such a cute page! Adorable page! Love the sprinkling of sequins! This is wonderful, I love how you cut the paper across the top to match the bunting. Love the clean fresh colours too. So beautiful! Love the colors and layout.